I am not a football person. 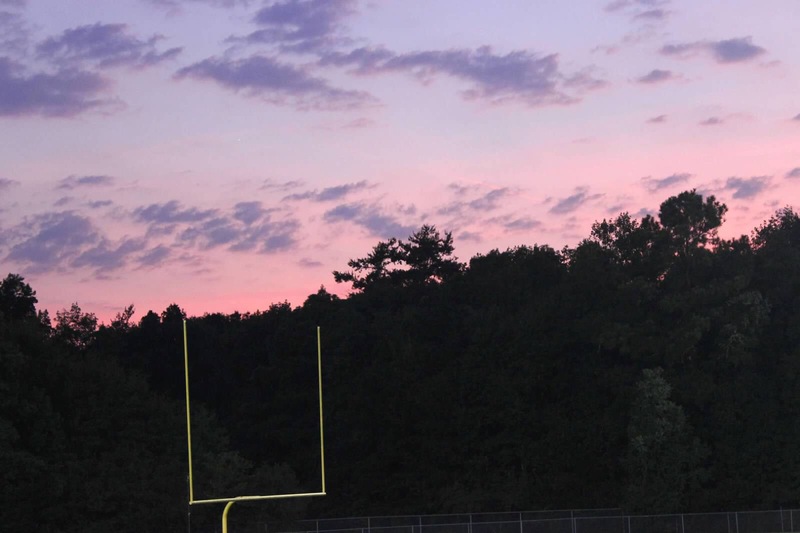 I went to a small, Christian high school with no football team. I have never really been around it all that much. In college, I did attend a handful of games. That is the extent of my exposure. I have just never been that into it, and honestly I don’t understand it. I don’t know the rules or the terminology. We go to parties and cookouts for games– I take a book. It’s fun to socialize, hang out, and snack together. No doubt about it though, there always comes a time when everyone is super into the game and that is when I am just sitting in a corner somewhere bored out of my mind or playing on my phone! Otis has been involved with the football team at our local high school for the past five years. I have never been able to go to any games with him because of my work schedule. I am so happy for this season of my life! On another note, hello to fall!! This is my favorite season ever! I love when the weather is slightly cooler and we can pull out the scarves and boots! Even though it is still pretty hot here, we started putting up a few decorations. We made these cute little candles to use as the center piece on our table. I bought the three candles from Walmart. I bought a pack of leaves and the twine from the dollar tree. 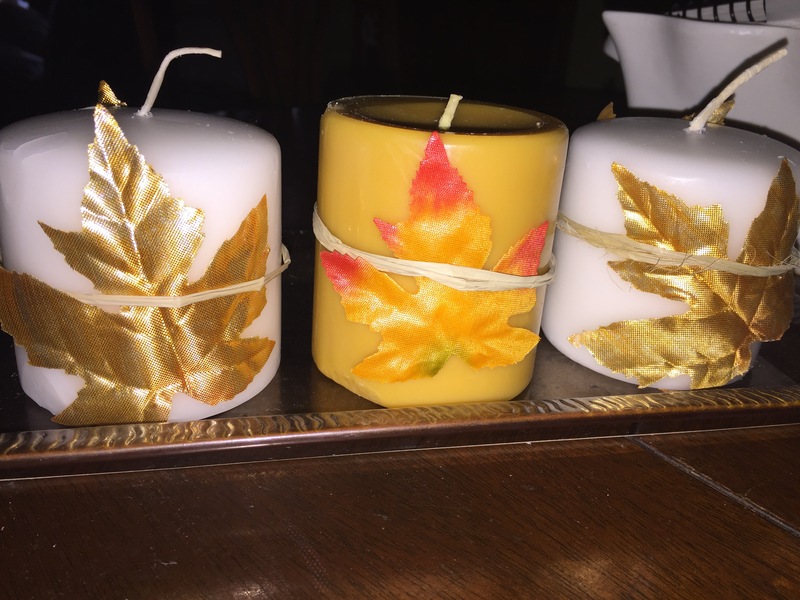 It made for a very easy and inexpensive fall addition!